It’s Nonfiction Picture Book Wednesday! I will admit to being absolutely fascinated by the whole concept of migration – the effort exerted, the distances travelled and the whole idea of living life in different places in different seasons. Animals are amazing. A little Wilson’s warbler wakes up to a colder than usual morning and realizes that it is time to make the journey south to Panama. But, where are all of the other warblers? They must have left without him! How would he make it to Panama alone? So begins this story of Sammy (the warbler) and his quest to find his way to Panama on his own, without knowing the way. Sammy meets many other animals who are also migrating, adapting for the changing season or planning to sleep away the winter. A ptarmigan explains that he doesn’t need to travel south because his changing white feathers keep him safe from predators while he continues to find lots of food in the north. A flock of sandhill cranes give Sammy a lift further south but not nearly close enough to Panama. They do however teach him that their migration strategy is to search for landmarks that they count on every year. Darner Dragonflies explain to Sammy that they follow the shoreline because flying over open water is much too dangerous. Other warblers (some redstarts, warbler cousins) show Sammy how they follow star maps by flying at night and a sense of knowing awakens in Sammy. Unfortunately, as he sets out with a clearer sense of his destination, he is confused by the bright lights of a city. In a terrible storm, Sammy finds refuge on the backs of a group of social humpback whales on route to warmer waters to calve. They bring him farther south and give him the rest he needs to find some new energy to fly. Finally, Sammy finds himself just where he needs to be. What a journey. In the back of the book is a map revealing the regular route warblers take from Alaska to Panama and then Sammy’s much longer round about route. All of the creatures Sammy encounters are described as well – with important details about migration routes, reasons for migrating and migration strategies. Did you know that Hudsonian Godwits can fly almost 10, 000 km in one go? Really! Humpback whales use the position of the sun and Earth’s magnetic field to guide their journey. Caribou migrate farther than any other land animal. There is also a page titled How Animals Migrate detailing the various strategies animals use to guide their migration, why animals migrate and what are some of the dangers of migration (most happen to be caused by humans). An amazing story and so much more on the topic of migration, I highly recommend this title. It would be a great read aloud in primary classes and ideal for independent reading for early intermediate students. 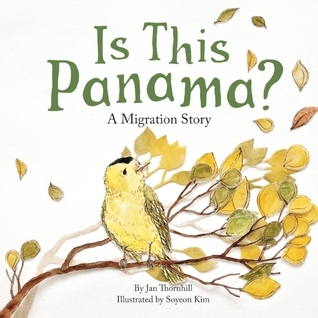 Interested in other picture books about migration? 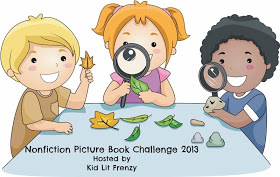 Thanks to Alyson from Kid Lit Frenzy for the inspiration to read and share more nonfiction picture books in 2013! Follow the link to Alyson’s blog to read about more nonfiction titles. 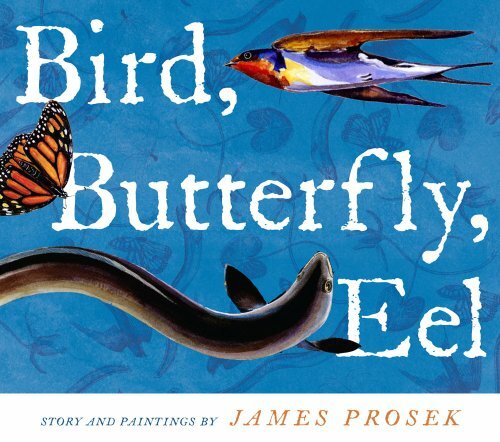 This entry was posted in Non-fiction, Nonfiction Picture Book Wednesday and tagged Cynthia Rylant, favourite illustrators, great read alouds, information story books, James Prosek, Jan Thornhill, Lambert Davis, migration, NFPB 2013, nonfiction, Soyeon Kim by carriegelson. Bookmark the permalink. Thanks, Carrie! I am now fascinated by Sammy’s journey and want to buy this book NOW! Thanks for the detailed review and for your other recommendations! I love the idea of combining the journey of migration with mapping skills! Thanks again! It is a wonderful book. I have been anxiously waiting its release and snapped it up as soon as I saw it at the bookstore. 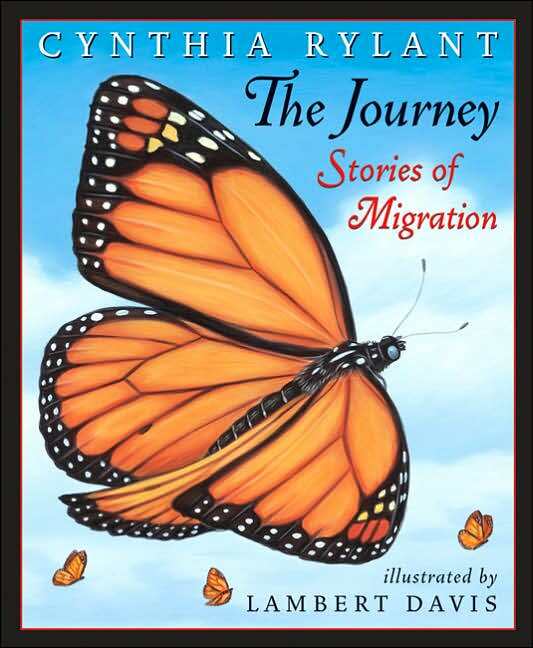 I read a lot about migration to my class last year and I know this would be another very successful read aloud. A perfect information story book that both entertains and informs.